Hi! Welcome to Rita Jo’s Vintage. Although this is my first entry during this blog journey, this ain’t my first rodeo. Ok, that’s a lie, I’ve never participated in a rodeo. What I mean is, vintage has always been a part of my life. 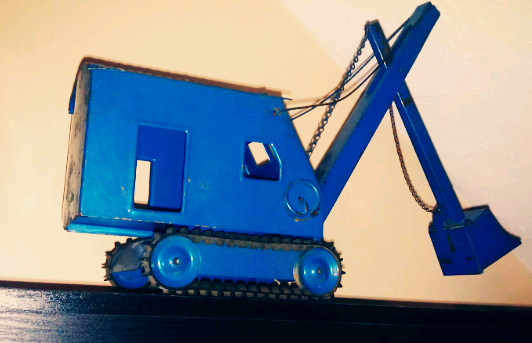 I grew up with an attic full of treasures and always loved every pin, fur coat or tin steam shovel we uncovered and have truly incorporated these items into my life. From wearing my Nana’s clip-on earrings to decorating my apartment with items from the past, the more unique, the more I love it. Luckily, I’ve been allowed to take some of these items and use them as my own, but I’ve also made the hunt for new (but old) treasures to bring into my home a major part of my life. I’m hoping to share some of my adventures at auctions, flea markets, antique stores and street finds on this blog and would love to hear your stories as well so please don’t be shy. I’ll also be selling some of my finds (a one-bedroom apartment is a little limiting) and dropping some knowledge on what I know about what I find. If you have any suggestions, requests, etc. let me know! I’m looking forward to this journey and hope you are too. Vintage is the way to go. Can you dig it?